Peugeot’s Super 2000 rally car might be based on a production 207, as rally rules require, but don’t take it for merely some sort of graphics package—the 207 Super 2000 is a serious machine just as home on asphalt surfaces as on icy, gravelly special stages. It has to be, as its rally calendar takes it to at least three continents over thousands of miles of brutal terrain in several different rally series, most notable of which is S-WRC. And it competes while looking pretty good, considering that the road-going 207’s charismatic lines give the rally version a simultaneously cute and aggressive appearance. Despite a lack of turbocharging (prevented under Super 2000 rules to keep the series’ costs from ballooning out of control), the 2-liter Peugeot makes 280 horsepower and is equipped with a sophisticated all-wheel drive to claw into loose surfaces. Significantly lightened and beefed up with competition equipment, a quick drive makes it easy to see why the grippy and predictable 207 has proven to be a true rally competitor in Europe as well as abroad. The Peugeot 107 may not be very large, but it crams a lot of charisma into every square inch. Due to its eager willingness to scoot around town, the 107 is one of the best superminis to hit the road in a long time. Under the short hood is a tiny but willing motor, providing zip while returning miserly fuel economy. 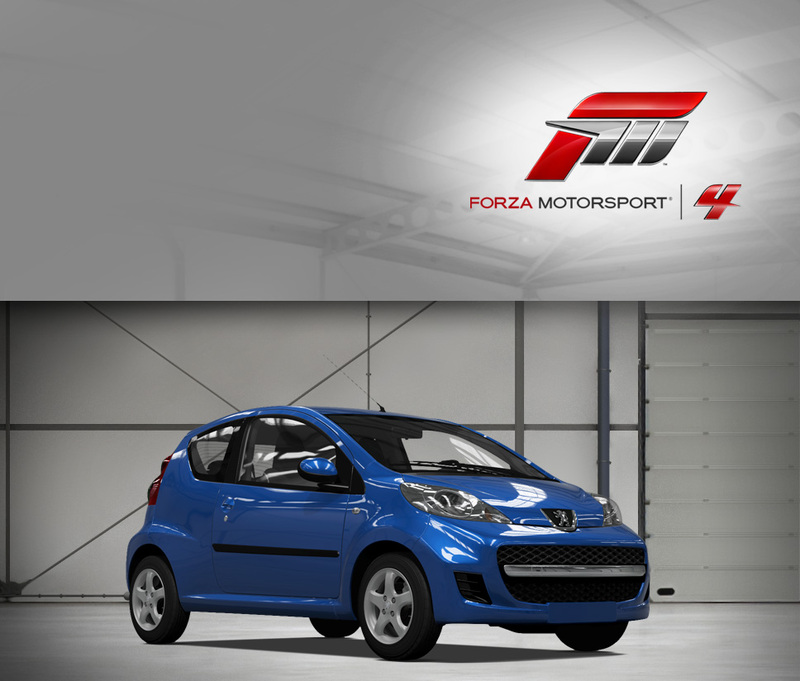 Despite having two siblings (the 107, Citroen C1 and Toyota Aygo are basically identical triplets), the 107 stands out due to its expressive “face” and sporty lower side vents, designed by stylist Donato Coco, who went on to pen such stunning cars as the Ferrari 458 Italia and California. With that kind of pedigree, how can you not love the cheerful 107? Much like the outgoing 206 RC, the 207 RC (known in some markets as the 207 GTI) represents a hotter version of the normal 207, and indeed from a distance the differences are subtle. Get closer, and it’s easy to see the smoked headlight reflectors, sporty foglights, and unique lower body cladding. But the real story is under the hood, where the 1.6-liter turbocharged engine gets a healthy 25 horsepower tweak, to make a total of 172 ponies. The engine is a highly sophisticated unit that also sees duty in the MINI Cooper S, so there’s plenty of refined power for B-road excursions. More importantly in the segment, there’s ample torque on hand (peak twist is produced at barely more than idle—just 1,600 RPM) to pull the hatch out of tight corners. Peugeot’s always been known for creating entertaining small cars, and the 207 RC carries on the tradition with distinction. In Europe, Peugeot is one of the great makers of hot hatches, with the 205 GTi of the 1980s being one of the all-time best. That tradition continues with the 206 RC (known as the 206 GTI 180 in some markets), a factory-modded version of the already quite attractive 206. Like any hot hatch worth its salt, the 206 RC is most at home on windy country roads or narrow and twisty road courses, where the sport-tuned suspension plays nice with the rev-happy 2-liter engine. The powerplant is a highly modified unit found in larger Peugeots (and sister marque Citroëns), fitted with advanced fuel injection and variable intake timing technology, and then pumped up further with lightweight pistons, flywheel, and crank. All those modifications add up to 174 horsepower and an eagerness to scoot forward with authority—all in all, it’s enough to motivate the light (2,400 lbs.) hatch to 60 mph in just 7.4 seconds. But outright speed isn’t the point—chuck this Peugeot into a corner and enjoy the next generation of hot hatch driving excitement. Driving the RCZ is almost like driving a concept car, without the rattles and hovering engineers worried about you ruining their expensive one-off show car. But it sure looks like a concept car, and that’s because Peugeot translated the RCZ concept almost exactly as it was into a production car. The low, wide, and curvaceous sheetmetal carried over to production with only a few concessions, but leaving such wild details as the double-bubble roof. Thankfully, instead of exotic mechanicals, the RCZ utilizes tried-and-true Peugeot 308 bits for great performance without the headache. That means the RCZ packs a 198 horsepower turbocharged four-cylinder, which not only moves the RCZ with authority, it also sounds positively fantastic due to a deliciously tuned exhaust note. Literally sculpture in motion, the RCZ manages to free the concept car from its showfloor cage and put high-end styling on the road for all to enjoy. From afar, the Peugeot 205 T16 looks much like the front-wheel drive, front-engine street car it was based on. When competition in World Rally Championship (WRC) was at an all-time high, Peugeot wanted to taste the victory they had enjoyed in the past. To meet Group B homologation, 200 road cars had to be built and, with that, the 205 T16 was born. These radical cars had a specially developed mid-mounted four-cylinder turbocharged, 16-valve engine mated to a four-wheel-drive system. The street version of the 205 T16 only differed from the rally version through a lowered turbo boost and the interior trim. The factory rally cars had an astounding record beginning in 1984, taking first place in three rallies, then seven more first place victories in 1985. After 1986, WRC cancelled the Group B category due to safety concerns, but not before the Peugeot 205 T16 brought in six more top podiums. The 205 T16 enjoyed its very last race--the 1986 Olympus Rally in Washington State--where it took second overall.